Being an on-campus student at Regent, I don’t have to deal with an annoying meal plan or disgusting cafeteria food. Instead, my roommate and I share a kitchen, which helps to promote nutritious food choices and has taught me a thing or two about living on my own. But some nights, after a rough day of writing papers and going to class, a commitment to healthy eating can go by the wayside. In times like these, it’s easy to succumb to something quick and easy. 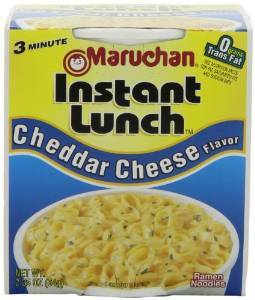 In the case of most college students, this translates to cooking ramen noodles. I’ve never been a huge fan of ramen. In fact, I can only recall having them once before starting this article. But I was curious—with a wide variety of flavors available at almost no cost, how good is ramen? 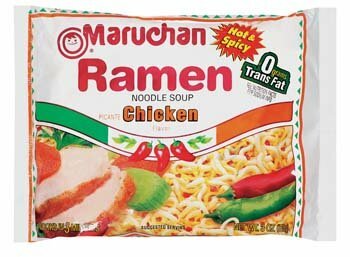 With that question in mind, I embarked on this perilous journey, a test of my physical endurance and mental fortitude, to find out what I could about the college student’s favorite meal. This flavor had a distinguished seafood smell when I mixed the water in—and not in a good way. Inside the cup are tiny, dehydrated shrimp which taste every bit as bad as they look. To top it off, the water has an unappetizing dark brown color when ready. The chili flavor gives it a slight kick, but at this point you might as well be seasoning dirt. 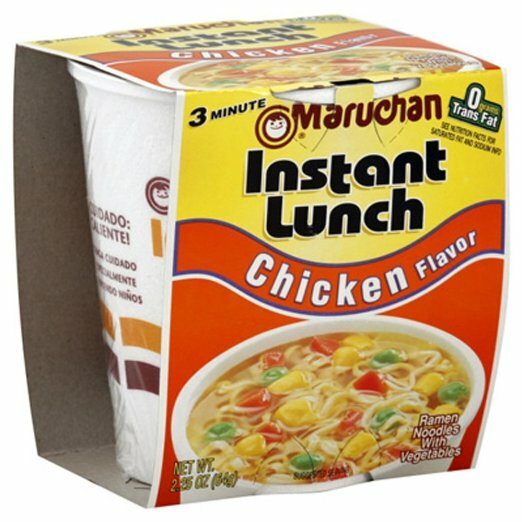 Whenever people talk about how disgusting ramen tastes, this is immediately what my mind goes to. There isn’t a lot that’s different between this and the last one, except for a hint of lime and a little more spice. 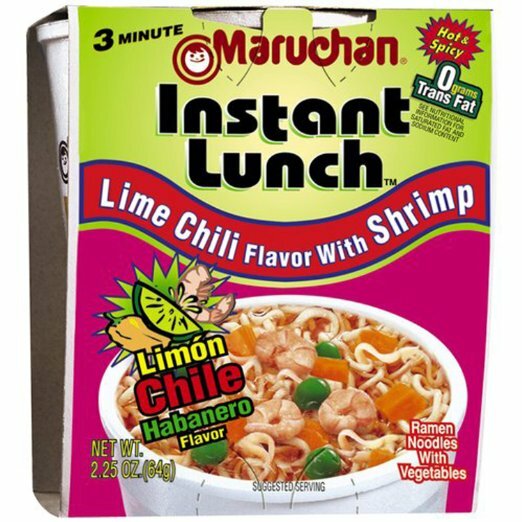 The lime helps cover up some of the less savory elements (mainly the flavor of gas station seafood), and the extra spice will confuse your tongue just enough that you no longer know what you’re putting in your mouth. Yeah. This one is a big NOPE for me. 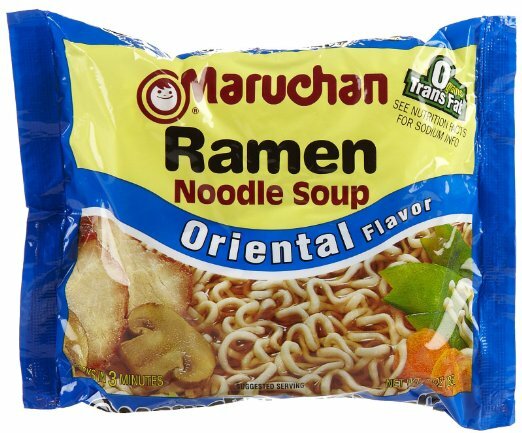 Let’s just get one thing out of the way here—“oriental” is definitely not a flavor. That said, this type of ramen tastes sort of like it was soaked in soy sauce. If you’re imagining something similar to ordering Chinese takeout though, think again. Like the “oriental” name on the cup, it only manages to vaguely resemble anything at all. It’s a good try, but not quite good enough. No matter how restrained your budget may be, try to avoid this one at all costs. Again . . . how exactly does a temperature pass as a flavor? 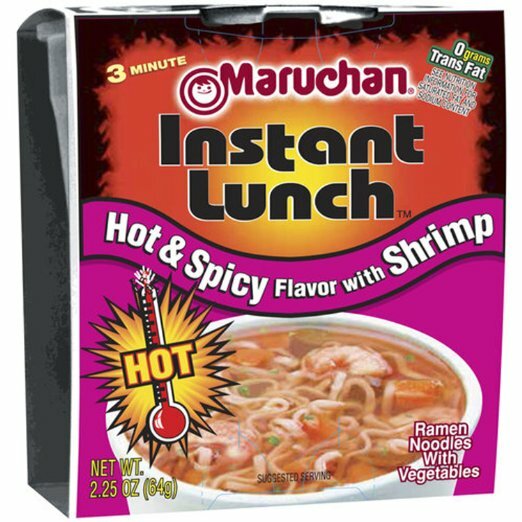 I’m also not really sure why randomly adding shrimp to things is supposed to improve the taste. This one has a somewhat sweeter flavor than the other shrimp flavors, and the bright amber color is a step up from the dirty brown of the Chili Piquin. 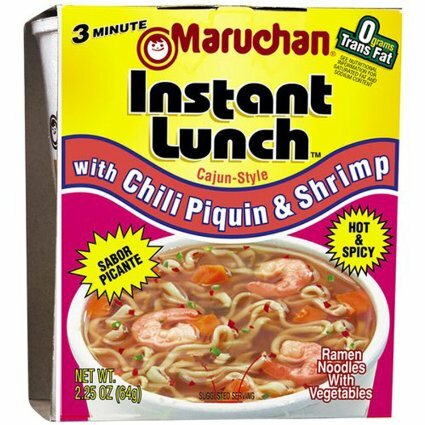 But even if you were to eat around them, the emaciated shrimp still drags this flavor way down. Trust me . . . it’s just gross. 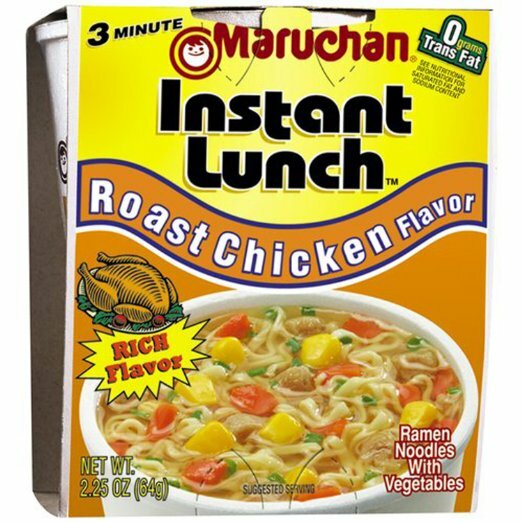 Not to be confused with Roast Chicken (which I’ve placed a little higher on this list), this flavor is just bland. It does have a vague meat taste to it, but I wouldn’t call it distinctly chicken. If you’re looking for something a little more subtle and mysterious (?) then you might enjoy this flavor. Regardless, we’re making a little progress here. Surprise! Here’s another flavor which tastes remarkably similar to another. Aside from the slight kick, there’s virtually no difference between this and the regular Chicken flavor. And I do mean slight . 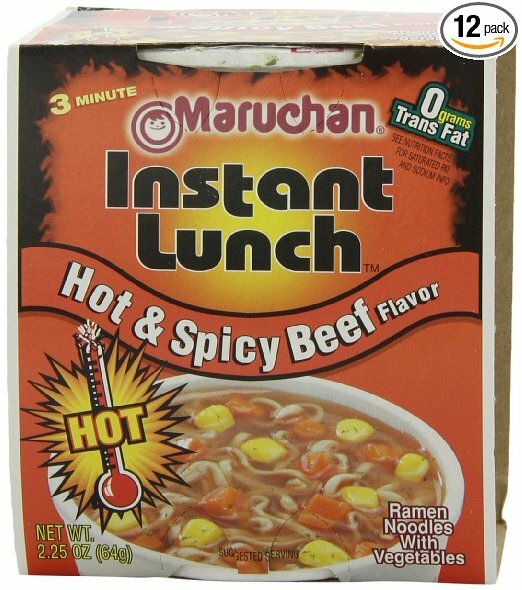 . . the packet features a “hot and spicy” warning on it, but offers only the faintest hint of spice. 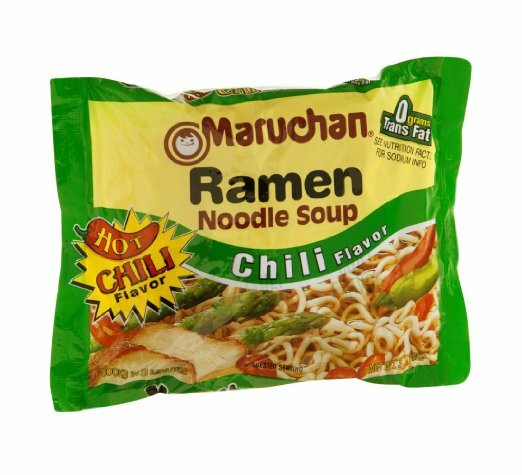 If you’re looking for some extra flavor, just add some chili powder to your Chicken ramen. If you’re eating ramen, I’m going to assume you’re not the type of person who’s squeamish about Velveeta mac and cheese. This here is Velveeta squared, minus the thickness and with a ton more salt. It tastes less like salty cheese and more like cheesy salt. The cheese is a neon orange that practically glows in the cup. It doesn’t taste awful, but it did leave me a little concerned for my physical wellbeing. There isn’t much in the way of beef flavor here, and it really could have done without the dehydrated pieces of corn and carrot. Those are hands down the worst part—the vegetables never fully rehydrate, so they’re a little stiff and flavorless. But I didn’t hate this one, so it’s at least a step up from the others. At no point when I was eating this did I think I was eating a hamburger or steak. Much like the chicken flavor, there are just hints of something resembling meat. However, this one actually smelled pretty appetizing, and it didn’t look like something out of a laboratory. 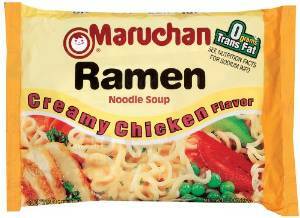 In the world of ramen noodles, it seems that’s more than you can hope for most of the time. No lie—the smell from this one made my friends think I was actually cooking something good. And unlike the other meat flavors, this flavor tastes remarkably like roast chicken. The dehydrated vegetables are a bit of a drawback, but those can be eaten around and, unlike the shrimp, they don’t seep into the flavor of everything else. Would I buy this flavor again? I’m not saying for sure, but there’s at least a chance. 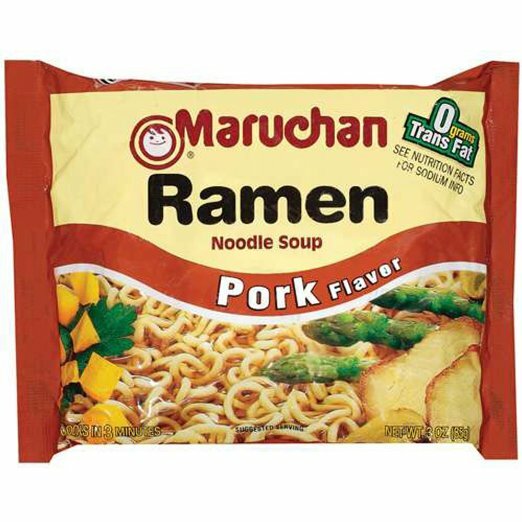 Now, I probably wouldn’t want any applesauce with this, but as far as pork-flavored noodles go, this is pretty impressive. I don’t want to know what sort of mad scientist came up with this, but it’s uncanny how much this tastes like actual pork. Like noodles? Like pork? This is for you. Just don’t ask too many questions about what’s in it. I love some good chili. And even though this won’t be winning any awards at Regent’s annual Chili Bowl, you might be able to imagine this being actual chili if you can get past the look and texture. Maybe. This is the future, right here. 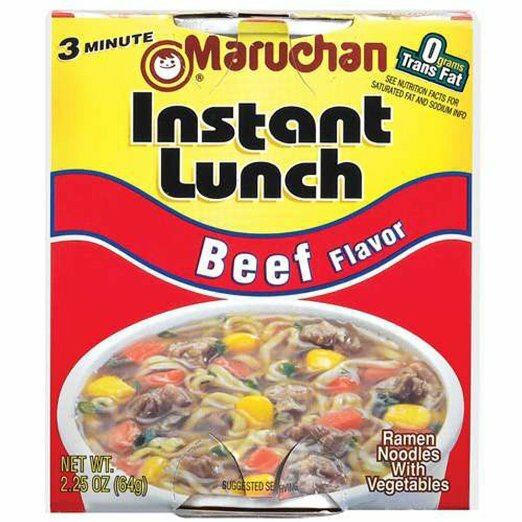 Of all the flavors of ramen I tried, this tasted the least like ramen. As a matter of fact, it tasted remarkably like Chicken Alfredo. I’m being serious! I’m still very hesitant to call this great, but man . . . if you’re planning to subject yourself to a type of ramen anytime soon, make it this one. Bon appetit! March 19, 2018 Dominique York Comments Off on Hi: a love story?